Will Spiritual Robots Replace Humanity by 2100? 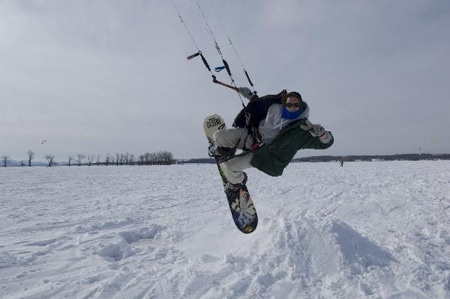 Snowkiting is kite surfing on a snowboard. It’s a new sport based on an earlier extreme sport called Kiteskiing. 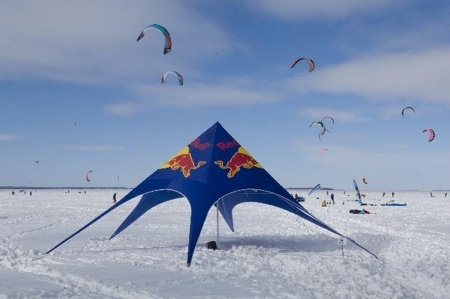 Most snowkiting is done on frozen lakes, to provide unobstructed room for the kites. 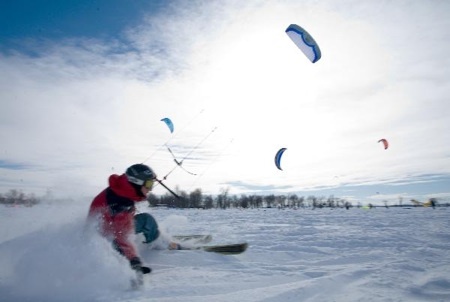 As kite surfing wings have evolved, a similar control system and arched form has made snowkiting more feasible. Here are some photos of a snowkiting festival in Burlington, Vermont in February 2007 call Stormboarding.